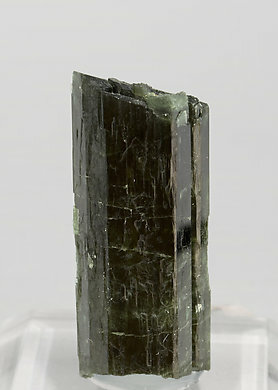 Doubly terminated Tremolite crystal (chrome rich variety) with acute polycrystalline terminations, very well defined prismatic faces and edges, translucent with a very intense green color and with small, brown, Clinohumite crystals and platy Graphite crystals. A rare US classic proposed in Tucson 2019. 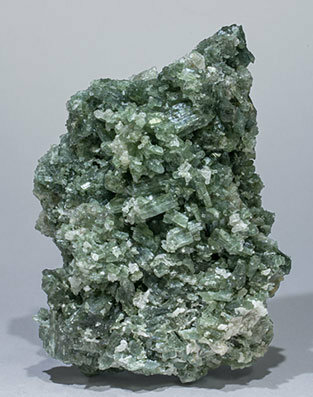 Aggregate of very well developed prismatic crystals, some of them doubly terminated, that are translucent and have a clear green color. The sample is from one of the most classic localities for the species. 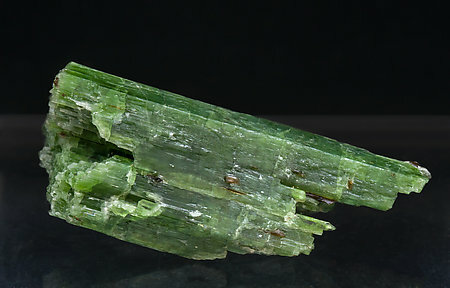 Group of very transparent and prismatic Tremolite crystals, with very sharp faces and edges, very bright and with slight and delicate greenish tones. On matrix. 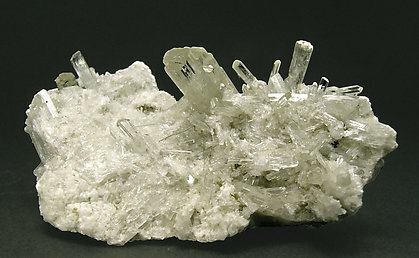 Aggregate of very elongated and flattened prismatic crystals with good terminations. They are translucent, bright and have an unusual and really intense green color, very rare for the species. Another representative species from Merelani. Sharp prismatic crystal with very well defined faces and edges. It is deep green and has a very good luster.